S&S Cycle has identified the need for stronger flywheels in v-twin engines with performance modifications. 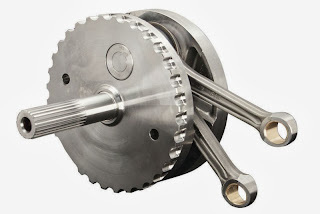 The crankpin/flywheel joint in production Harley flywheel assemblies was not designed to handle the increased power, so the stock flywheels tend to shift out of true. 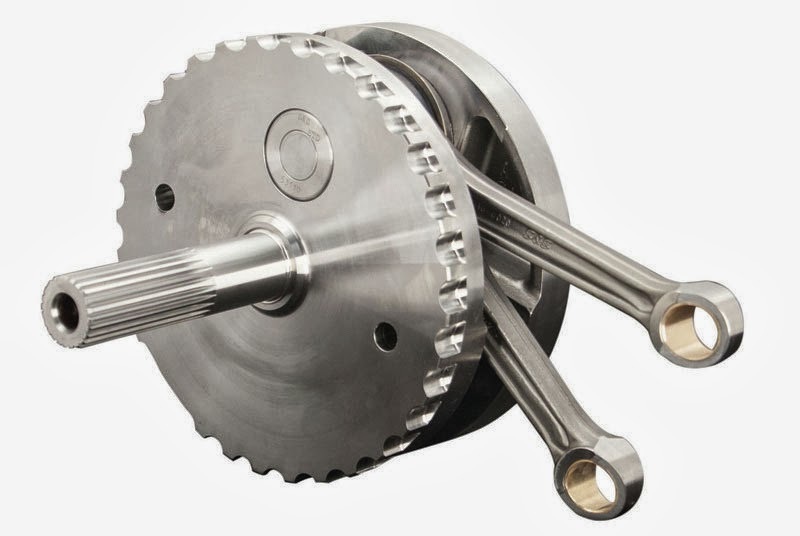 To deal with this issue S&S Cycle is now producing three-piece flywheel assemblies with integral sprocket and pinion shafts, an all-new connecting rod, and a larger crankpin. The company states that the new assemblies are a vast improvement over stock, and are even superior to its own flywheels produced previously. The heat-treated 4140 material is claimed to be not only harder than stock but also 114 percent stronger. This superior material eliminates the need for thrust washers, further increasing the contact area between the flywheel and crankpin for a stronger joint. In addition, a larger 1.671in diameter crankpin and tighter press fit yield more clamping area and increased crank-pin clamping force. Integral mainshafts eliminate two potential points of weakness. Reduced mainshaft deflection at high rpm produces less vibration and reduced piston and rod side thrusting, which prevents oil pump damage. Vibration is also reduced through consistent balance and precision machining to produce truer flywheels. They are trued to less than .0005" TIR. Upgraded S&S rod bearings have 20 rollers for greater load capacity than the 18 roller bearings used in stock engines. S&S Cycle is making the new three-piece flywheels in two styles and a variety of strokes to fit '99-'06 and '07-'14 Harley-Davidson big twins (balanced and unbalanced models). Both styles of flywheels are also now standard equipment in S&S T-Series engines and Hot Set Up Kit® applications for these year groups. The new S&S flywheels can be used with Timken® sprocket shaft bearings or with the stock '03-later straight roller bearings. S&S highly recommends a Timken conversion for performance engines. MILWAUKEE (September, 2013) Presented below for holiday special sections are five affordable, easy-to-buy gift suggestions from Harley-Davidson® Genuine Motor Accessories® suitable for any Harley-Davidson enthusiast or rider. 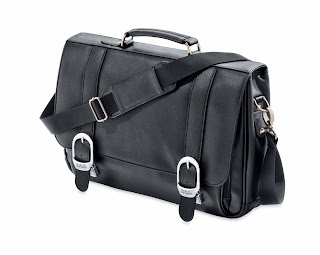 To make gift-giving easier, the Wish List feature on Harley-Davidson.com can be used to create a list of items a registered participant would like to buy in the future, or receive as a gift. The list can be shared online, e-mailed or printed. It's a great way for a Harley-Davidson enthusiast to drop a hint and help others know exactly which items would make the perfect gift. The Boom! Audio Premium Half Helmet Music and Communications Headset (P/N 76000145, $149.95) from Harley-Davidson® Genuine Motor Accessories® enables full music and communication function while wearing a half helmet. A lightweight pivoting neck band wraps across the back of the neck and fits below the shell of most half helmets, while over-the-ear hooks keep the speakers comfortably in place. This headset delivers premium audio through foam-covered on-ear stereo headphone cups that reduce wind noise without blocking the sounds of surrounding traffic. 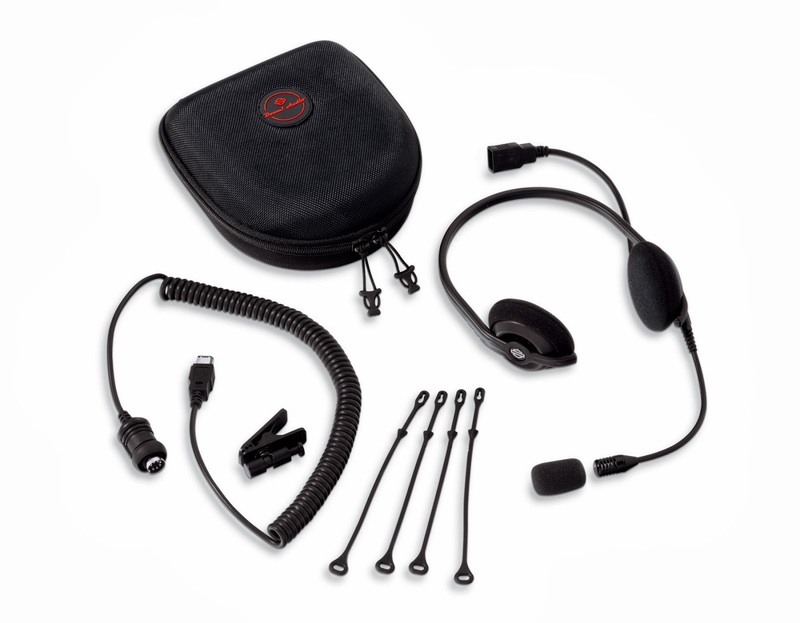 The adjustable boom microphone with wind sock is optimized for use with Harley-Davidson intercom and bike-to-bike communications equipment, and the quick-disconnect plug allows the user to step away from the motorcycle without removing the headset. The 7-pin DIN plug can be connected to the front (rider) or rear (passenger) communication port. The headset includes a zippered storage case and fits many 1998-later Harley-Davidson Touring models. See an authorized Harley-Davidson dealer for fitment details.